The HOAX of the larvacide-containing “contaminated” water as the “true” source for microcephaly appears to be now put to rest. Earlier, a HOAX was announced that microcephaly doesn’t come from Zika Virus…it comes from “the larvacide… pyroproxyfen” (correct spelling is: pyriproxyfen) placed in the drinking water at the same locations where both Zika and microcephaly occur. Argentinian and Brazilian scientists of Production Team REDUAS made this assertion on 3 February 2016 in a publication authored by Dr. Medardo Avila Vazquez. And, it was soon discovered that larviciding is nothing new. 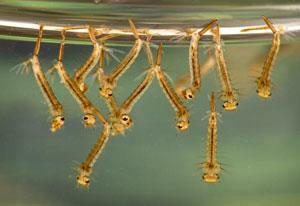 In fact, it has been practiced as an effective, WHO-approved method for mosquito control for over 100 years. The International Health Board (IHB) of 1915 served as current wisdom during the major eradication efforts for Yellow Fever, 100 years ago. According to Frank M. Snowden’s book (2014), “The Global Challenge of Malaria: Past Lessons and Future Prospects,” the IHB quickly learned that mosquito larviciding was much more effective than chasing adult mosquitoes. In fact, the IHB advised the Brazilians of that day to abandon all efforts to kill fully grown mosquitos such as fogging and spraying. It recommended, instead, that they focus on reducing the mosquito larvae population, which is much more responsive to minimal effort. Long-term inattention to larviciding since the initial fight against Yellow Fever has permitted overgrowth of the Aedes (for Dengue and Zika and Yellow Fever) and Anopheles (for Malaria) mosquitoes along the Americas. So, how has this put to rest the matter of larvicide as the false source for the recent uptick in microcephaly? The World Health Organization (WHO) reported that two countries, Colombia and Venezuela, are documenting similar spikes in the life-threatening paralysis, the Guillain-Barré syndrome (GBS) (Guillain-Barré syndrome – Colombia and Venezuela, 2016). Colombia documents 86 new cases of GBS in the past five weeks, which is 3 times higher than normal. “Normal” was based on the past 6 years of statistics in Colombia, which is usually 242 new cases in an entire year. Each GBS case had Zika Virus symptoms. Venezuela documents 252 new cases of GBS, just in the month of January 2016. Each registered Zika Virus symptoms. Only three (3) of the GBS cases, however, were confirmed Zika-positive by polymerase chain reaction (PCR) test. There is no vaccination option or specific anti-viral therapy currently available. 65% of the Venezuelan cases had additional complications and received variations of plasmapheresis transfusions and immunoglobulin injections (Guillain-Barré syndrome – Colombia and Venezuela, 2016). WHO strongly urges people in affected countries to USE larvacides as part of the WHO Pesticide Evaluation Scheme (WHOPES) of 2003 (Najera and Zaim, 2003). And, revised in 2006 (PESTICIDES AND THEIR APPLICATION: For the control of vectors and pests of public health importance, 2006). Page 80 of the 2003 document “MALARIA VECTOR CONTROL,” outlines approved practices in larviciding. The WHO details petroleum (oil), polystyrene beads, low dose organophosphates and insect growth regulators (pyriproxyfen and diflubenzuron), and microbial insecticides (of the bacterium Bacillus genus) as effective larvicides. The WHO Guidelines for Drinking Water Quality of 2011 outlines, in Chapter 12.2, safe pesticide use for drinking water sources (Guidelines for drinking-water quality, 2011). Pyriproxyfen is documented on page 439-40 of Chapter 12.2 (Chemical fact sheets, 2011). Snowden, F. M. and Bucala, R. (2014). The Global Challenge of Malaria : Past Lessons and Future Prospects. Singapore: World Scientific Publishing Company. ISBN: 978-9814405584 9814405582. How can Zika be good news? However, this time there appeared to be some good news…except it was another HOAX that had conspiracy overtones. For over a month the news has bombarded North American listeners with fears of the Zika Virus. Credible associations were made of two physical findings, microcephaly and the life-threatening, paralyzing, Guillain-Barré syndrome (WHO Director-General, 2016). And yet, there still has been no established biological link of the Zika Virus “causing” these conditions. It is, so far, a legitimate, working hypothesis (WHO Director-General, 2016; WHO to convene, 2016; Zika Virus Travel Alert, 2016). Yes, Brazilian ophthalmologists just published their recent findings of retinal damage in the eyes of some of the microcephalic babies. Their research suggested permanent vision problems (De Paula Freitas, B., et al., 2016) But, there was no proof the research established a biological link that the Zika Virus was what “caused” this condition. That would require a cohort (population) study following the children over time. And, the 23 selected mothers were never tested to prove they had Zika Virus. Instead, they were given the presumptive label as positive cases because they had demonstrated symptoms and signs. Then there was the “good news.” Unfortunately, the following turned out to be a HOAX: microcephaly doesn’t come from Zika Virus…it comes from “the larvacide… pyroproxyfen” (correct spelling is: pyriproxyfen) placed in the drinking water at the same locations where both Zika and microcephaly occur. Such is the 3 February 2016 assertion in a publication by Dr. Medardo Avila Vazquez, principle author, and the Argentinian and Brazilian scientists of Production Team REDUAS. The theory stated that the Monsanto larvacide, pyriproxyfen (“pyroproxyfen” as REDUAS repeatedly misspelled it), which is routinely added to drinking water in mosquito-dense communities in many locations, just happened to coincide with the Zika Virus and the microcephaly epicenter near Recife, Brazil. Mosquitoes in the region were found to have odd, physical changes, which normally happens when introducing a larvacide and this was thought to indicate genetic risk to newborns. This “confounding variable” was then thought (by Team REDUAS) to be the culprit, instead of Zika Virus. Justification for this position was that microcephaly mysteriously appeared first in Brazil and not earlier in the Zika Virus spread chronology (Avila Vazquez, 2016). But, somehow Team REDUAS omitted consideration of the Guillain-Barré syndrome that has also been associated with Zika Virus for the past three years (WHO Director-General, 2016; WHO to convene, 2016). A “confounding variable” is an epidemiological concept. It identifies a condition that has guilt by association without sufficient deductive reasoning or collection of evidence. The epidemiological concept, “confounding variable,” cannot be selectively applied to just one community and not to other communities or other countries. So, let’s view Team REDUAS reasoning another way to see why it does not make sense. Many communities that currently struggle with Zika Virus and microcephaly do not add pyriproxyfen to their water supplies. Closer examination of the document reveals the research team is one of the principle groups promoting the theory that UK’s Oxitec genetically altered mosquitoes participate in the microcephaly problem. The group’s mission statement is to influence policymakers to abandon all attempts to reduce mosquito populations, especially chemical. Larvacides have been used in public drinking water since the 1970’s, according to the World Health Organization (Diflubenzuron, 2001; Diflubenzuron, 2008). No association with biological causes has been made until this HOAX. Team REDUAS does not consider toxicology factors in its analysis. Toxicology factors are routinely considered in water supply analysis…and antibiotic dosing (Acute Toxicity Definitions, 2016). Toxicology was central to the Flint, Michigan lead-contaminated water analysis (Why Lead Poisoning is Feared in Flint, 2015). Jersey City, New Jersey introduced chlorine to its water supply in 1908 (History of Drinking Water Treatment, 2012). Since then, communities around the world have benefited from public health improvements by similarly adding chlorine compounds to their water supply. Waterborne diseases vanished. Chlorinated water supplies have contributed, in large part, to reducing the prevalence of the once common community diseases: cholera, dysentery, TB, typhoid fever, influenza, yellow fever, and malaria. (Achievements in Public Health, 1900-1999: Control of Infectious Diseases, 1999). Water purification is not enough to combat the now, ubiquitous, Zika Virus. Vaccination provides hope in the distant future for those interested in receiving the treatment. Immune system enhancing opportunities now exist to reduce the risk of negative outcome. Transfer Factor, the active ingredient in all mammalian mother’s colostrum, has been suggested as an option because it’s touted as educating your personal immune system. It is now available in a questionable, proprietary (patented) oral formulation to limit availability and increase price. It performs no better than placebo (What are transfer factors? 2016).